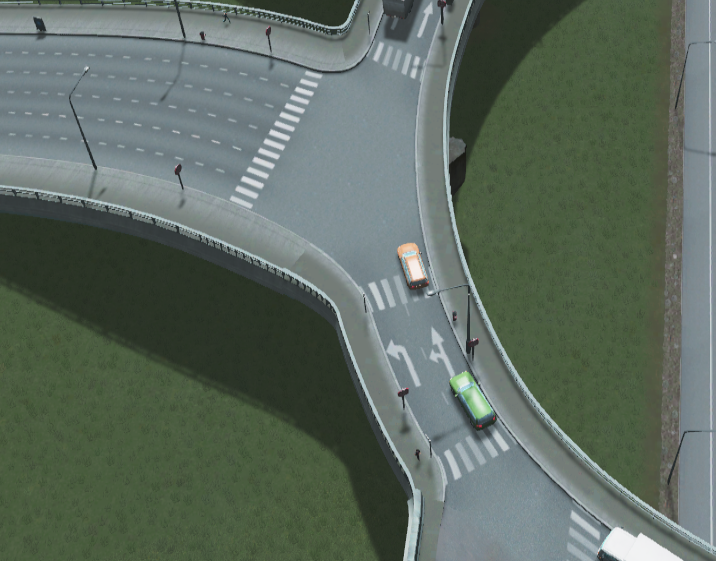 using a 6 lane one way as an exit from a roundabout will make the left/right lane exit only. 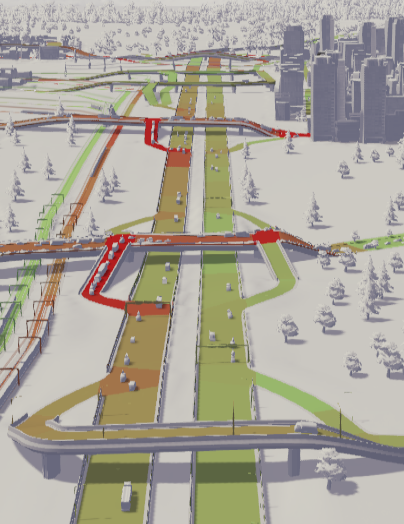 This also works with Highways. 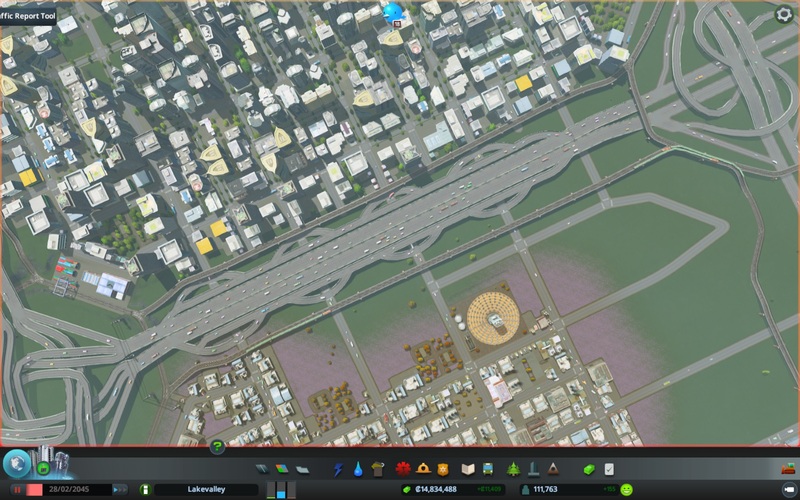 try and making the exit ramp off a highway a one way 2 or 6 lane or highway, will make the left/right lane exit only. 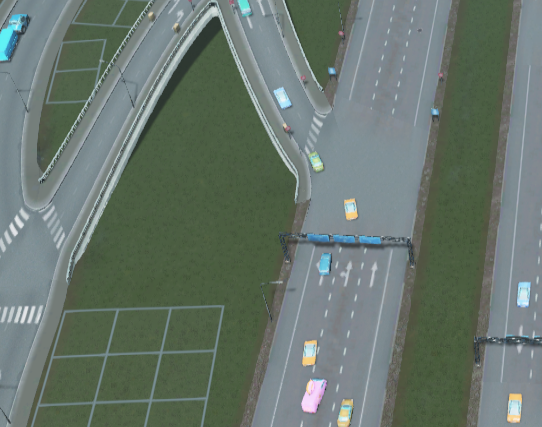 This will force other users to try and get out of that lane as fast as possible. 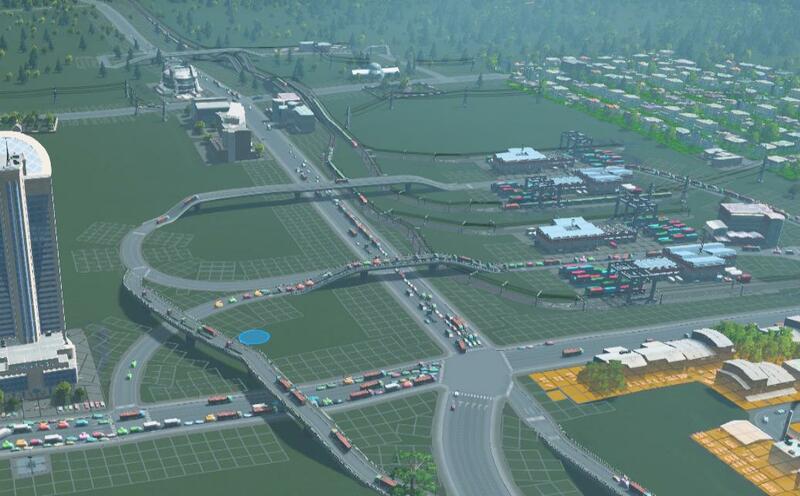 Try to split your traffic before you merge new traffic. 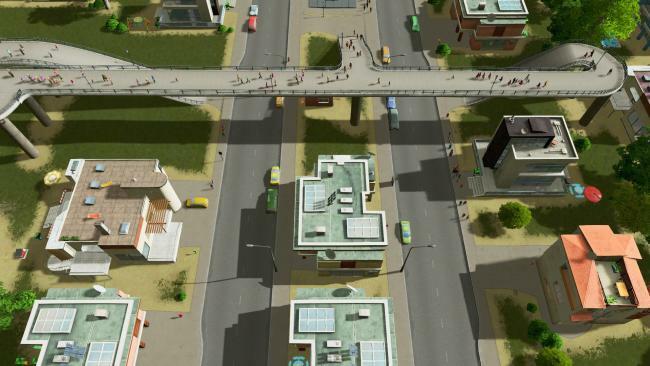 Another effective method of dealing with traffic is elevated footpaths though the city. 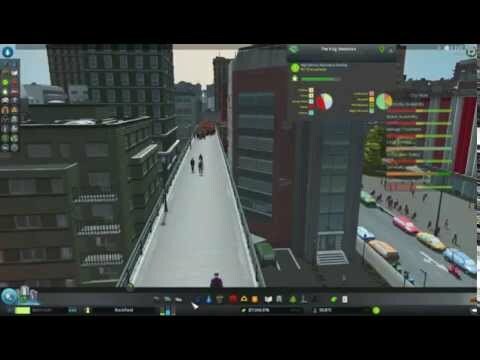 Having them cross near bus stops and train stations also really helps. 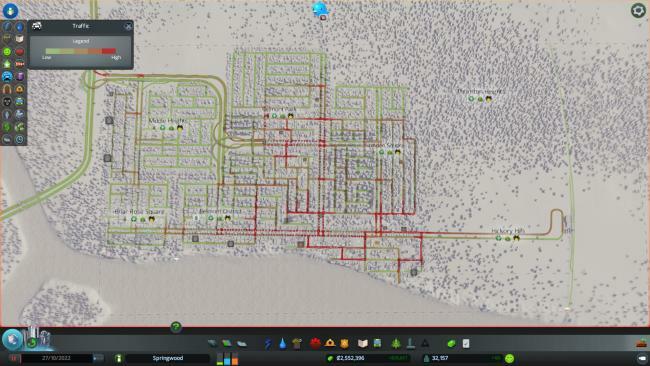 Look at all the people it's forcing to walk rather than take cars. 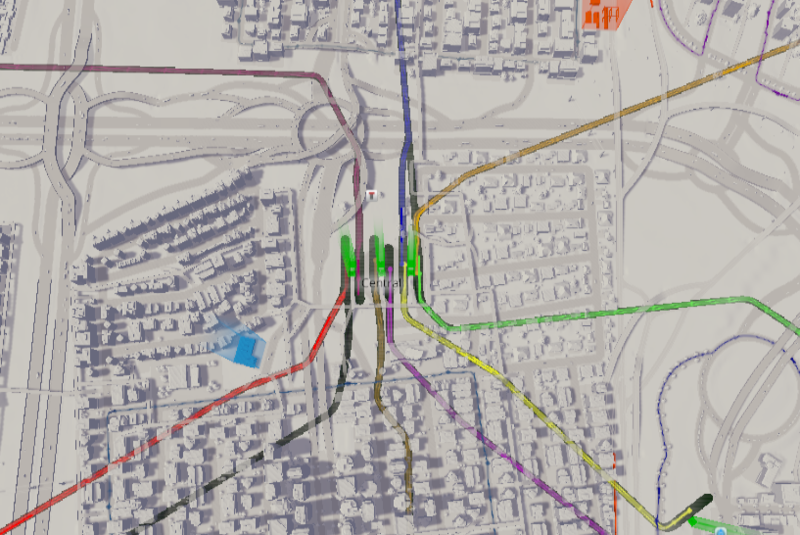 Not sure if you do this already, but it's good to set up separate, independent rail lines for each type. 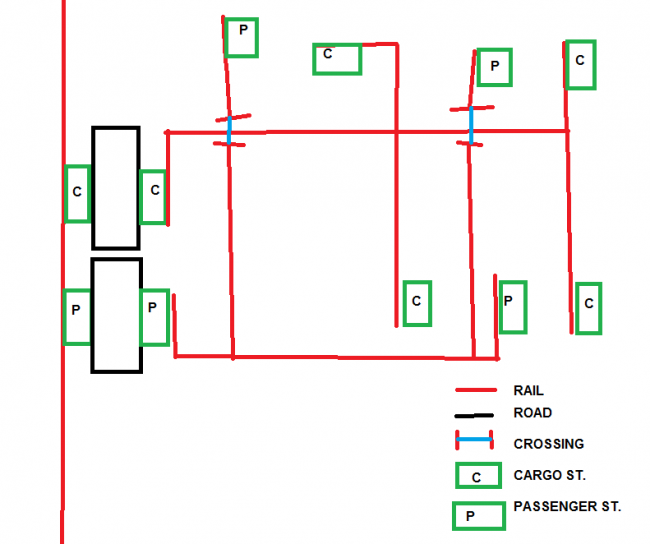 One line is the international line which drops off cargo/passengers into transfer stations. 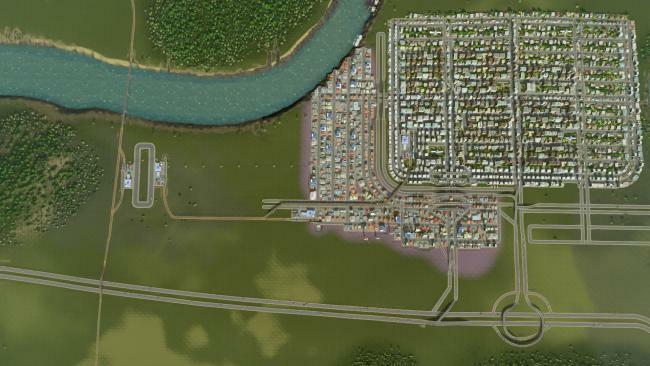 The other two are domestic passenger & cargo lines which both do their thing separately. See pic for example. 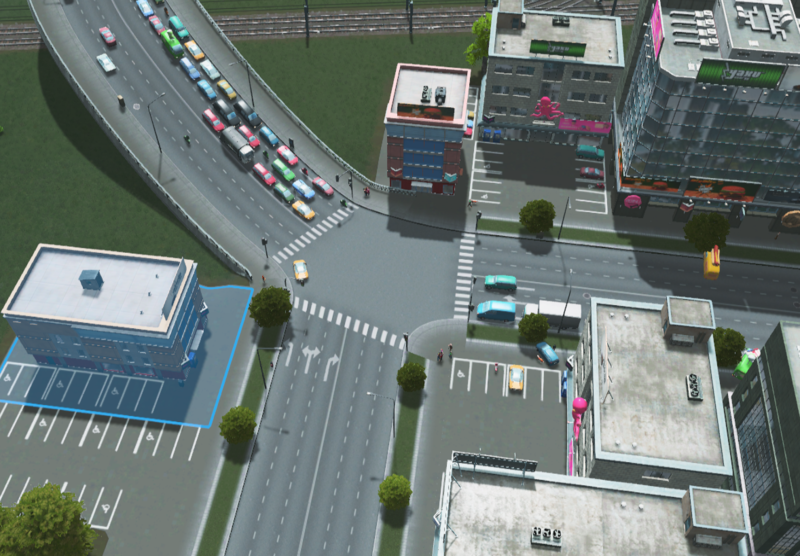 It's not like OTTD where you can just have a main line handle all the traffic. 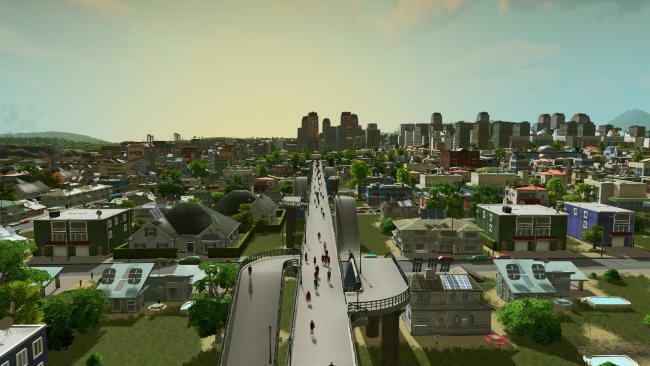 Also the more stations there are, the more trains there will be. i've had to separate domestic and international cargo due to sheer volume. 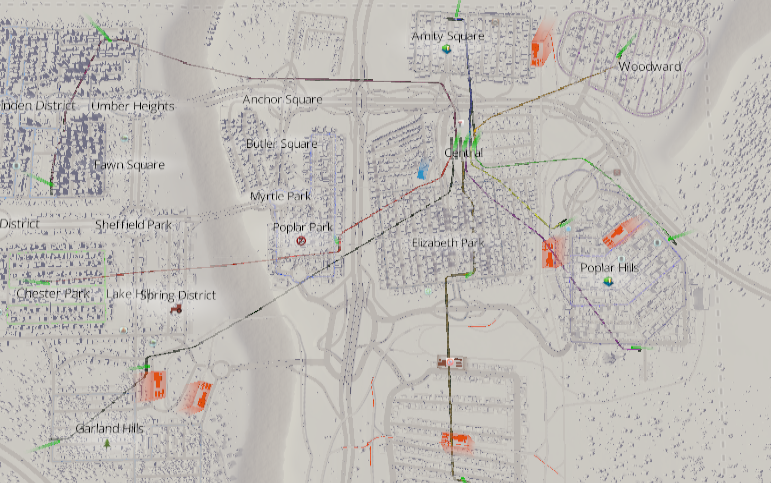 I only run passengers on metro to local bus lines, less than 10 stops a piece. The airport/external passenger lines are not worth the investment. 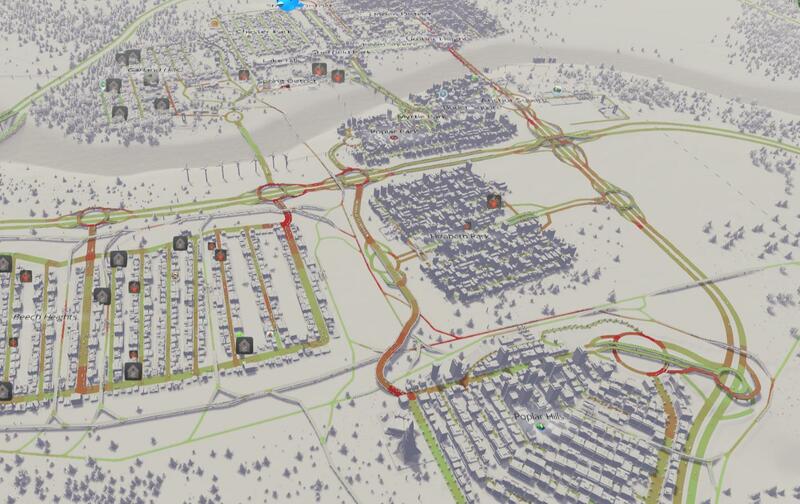 Update on city. Grid is being removed somewhat in the CBD. 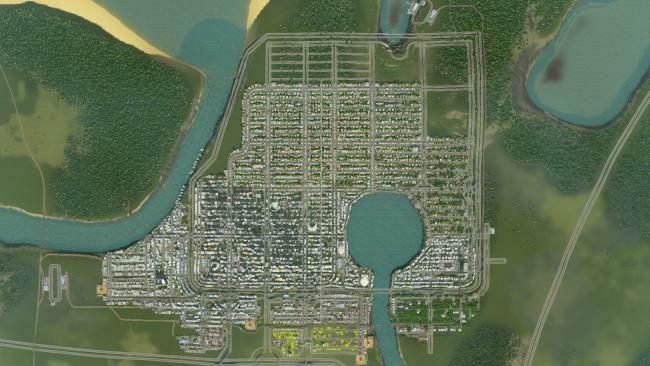 Easier to grid it out then transform it naturally as traffic flows later on. does it work with heavy inflows/outflows?